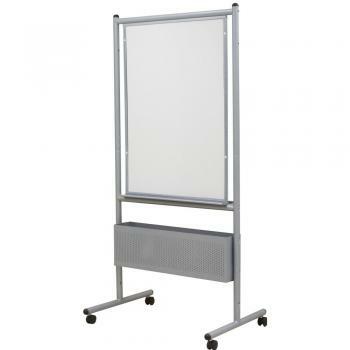 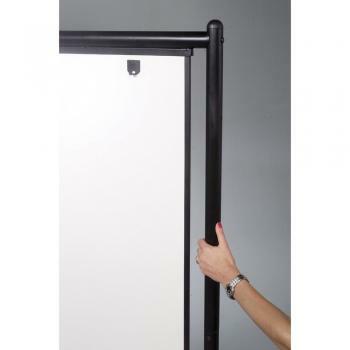 This free standing whiteboard is double sided and height adjustable. It comes in your choice of a silver or black powder coated steel frame, mounted on 2" locking casters. 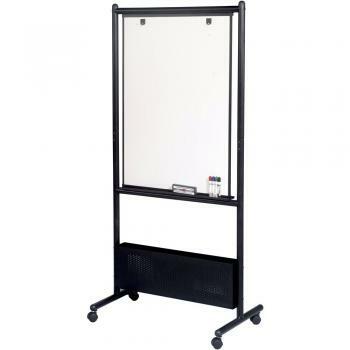 The free standing whiteboard easels are nested together easily for convenient storage and include accessory trays and flip chart hooks. This whiteboard also has a height adjustable storage box mounted on the bottom. Available in your choice of two (2) whiteboard surface materials.